You may ask why would we ever need a custom button to open an email activity from a record while we can do it from the social pane! Well, good question, and here is the answer: Users want to do their work with fewer clicks. Note: Please check out previous blog posts to learn how to use Scott Durow’s Ribbon Workbench to create a custom button. Let’s say we want to open the new email activity and load a specific template when a custom button is clicked on an account record. NB: It is highly recommended to combine both files in one to avoid JS files loading sequence issues. 2. 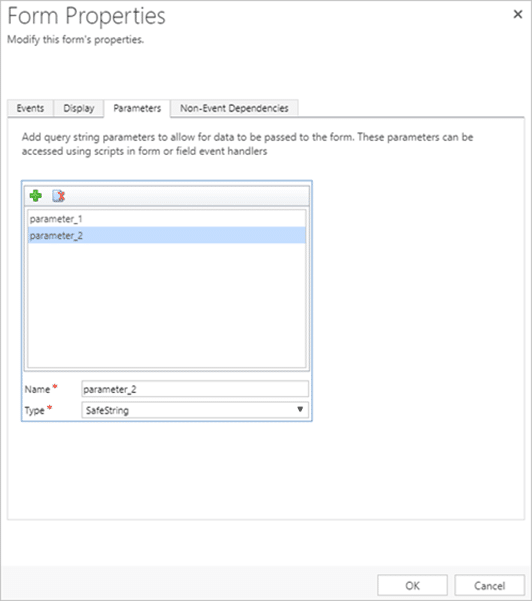 Open the Email form in edit mode, click Form Properties and add two new parameters “parameter_1” and “parameter_2”. 3. Use the following code on the click event of the custom button. 4. Add this code to the onLoad event of the Email record. 5. 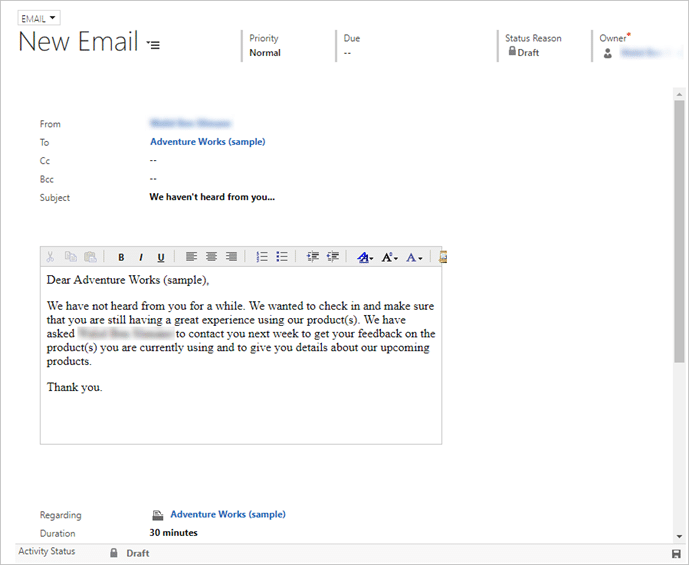 When the custom button is clicked on the Account record, an email activity is opened in a new popup window and the template is loaded. As always, if you need assistance the Dynamics 365 experts at PowerObjects are here to help!